St. Heribert was born in Worms, Germany around the year 970. He was educated at Gorze Abbey in Lorraine. He wanted to become a Benedictine, but his father obtained a canonry for him and he was ordained. He became a trusted counselor of Emperor Otto III. In 998 he was named archbishop of Cologne. 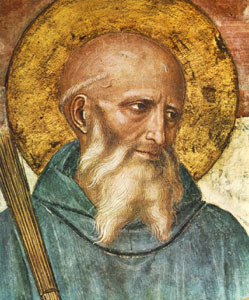 He accompanied Otto on a trip to Italy where Otto died in 1002. Through a mutual misunderstanding, Henry disliked Duke Henry of Bavaria who became Emperor Henry II. The two were later reconciled and Heribert became Henry’s chancellor. They worked together for the good of the people. Heribert built a monastery on the Rhine where he was a peacemaker, a firm disciplinarian, a holy man, and became devoted to the poor. He knew the value of money and always saw that his was divided among the poor. It was said that he performed a miracle during a time of drought. It was through his prayers that a torrential rain fell, saving the harvest and delivering the people from famine. He died March 16, 1021. 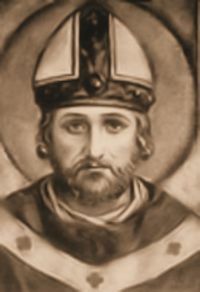 Pope Gregory VIII canonized him between 1073 and 1075. It is a valid excuse for some people to have little time for prayer. True or False? Louise was born in 1591. In 1613 she married Antoine Le Gras. He died 13 years later leaving her with a young son. After her husband’s death, she moved to Paris and became a nun. She became associated with St. Vincent de Paul, who was then Monsieur Vincent. He became her spiritual advisor. He had established orphanages, hospitals, and shelters for the elderly, but didn’t have enough staff to take care of all the establishments. 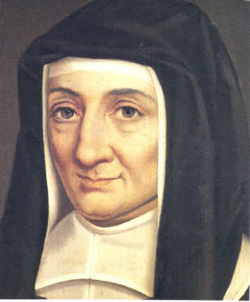 Louise established the Daughters of Charity, Servants of the Sick Poor. She recruited hardy young women from the working class who were accustomed to long busy days. The nuns would leave their convent every day and go where they were needed. 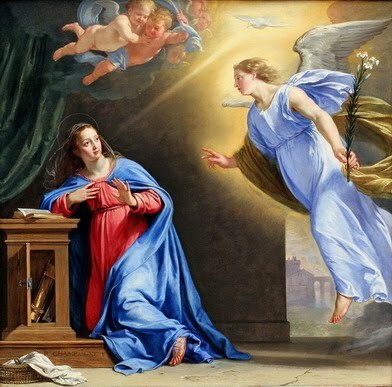 They became the Daughters of Charity. Louise died in 1660. Pius XI canonized her on March 11, 1934. Blessed Pope John XXIII named her patron of Social Workers in 1960. A worldly mentality can hurt the desire to pray. True of False?